Slovakia has beautiful cities, stunning castles, amazing palaces, interesting history, but its main treasure is its nature. More than 6000 caves, 9 national parks, 14 protected landscape areas, 1,087 natural reserves, natural monuments and protected areas … all this is located in one of the smallest countries in Europe and right in its heart. Be inspired by this list of the most beautiful places in Slovakia. Slovakia is the best new travel destionation! Forming the border between the nations of Poland and Slovakia, the Tatra Mountains are considered to be the tallest range in the country of Slovakia. The vast majority of the mountain range is situated well above 900 meters and its highest peak at Mount Gerlach rises more then 2,655 meters above the sea. Because of its altitude, the Tatra Mountains have become a popular skiing and spa destination in the country. Some of the most beautiful places to visit in the High Tatras include Popradské pleso, or Zelené pleso, that is perhaps the most beautiful and romantic place in Slovakia at all. Perhaps one of the most popular skiing locations in the High Tatra Mountains can be found in Štrbské Pleso. The area has been well known for skiing for centuries thanks to the glacial lake which can be found nearby. It is also a popular starting point for those wanting to go hiking into the mountains which surround the town. Some of the best hiking trails lead to ones of the highest peaks of Slovakia – Rysy (2,499 m) or Kriváň (2,495 m), which is a symbol of Slovakia. On the way to Rysy, you can stop by and rest at Popradské pleso – a lake situated in the valley is considered to be one of the most beautiful and picturesque places in the High Tatras National Park. The area is also home to one of the finest health resorts in the country. The village of Ždiar dates back to the turn of the 15th century. While most of the residents in the village are farmers by tradition, in recent years the region has seen a growth spurt in tourism as countless people make their way to this northern Slovakian village for its picturesque views and ancient architecture. Some of the best parts of Ždiar include valleys of Monkova dolina or Bachledova dolina which is a popular ski resort. Just my quick tip. In Monkova dolina you will find one of the best located hotels in Slovakia with a great views of Tatras mountains. The hotel is called Hotel Magura. It is quite old hotel, so do not expect 5 star accommodation, but its location really worth a visit. Also the hotel’s restaurant is great, both for the quality and prices. 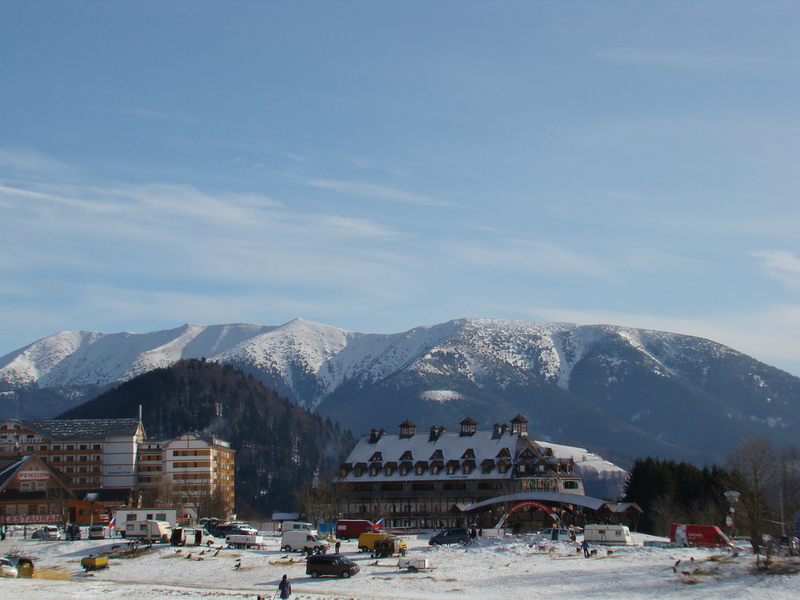 Known as a popular resort town in the northern parts of the country, Starý Smokovec is known for its winter skiing and summer hiking trails. There are a number of hotels in the area to stay in including the 1904 Grand Hotel which is also one of the most notable buildings in the town. The town is also situated along the Tatra Electric Railway which connects the town with some of the area’s most popular ski resorts and other resorts in the High Tatras National Park. The resort town of Tatranská Lomnica can be found situated in the High Tatra Mountains. The town’s most notable attraction is its cable car which takes one to the steep slopes of the Lomnický štít (2,634m). There are more than eleven kilometers of ski runs around the town which are serviced by several lift facilities. The highest point one can ski from in the region is 2,196 meters above the sea and it is on Skalnaté pleso (on a halfway to Lomnický štít). Slovak Paradise National Park is a real natural jewel situated in the heart of Slovakia. It offers kilometres of trails along the forested mountains, lakes and waterfalls dotted with breathtaking views over the area (especially the one called Tomášovský výhľad). Once there, never miss a visit to Dobšinská Ice Cave, which is definitely one of the finest in the country, or a trail through the impressive river canyon known as Prielom Hornádu. You can stay in Dedinky or Stratená if you decide to stay longer. The historical town of Levoča can be found in the eastern parts of the nation. It is known for its town center as well as the historical walls around the town which still stand today. There are countless buildings in the town which date back to the Renaissance period and as such, most of the town is considered a World Heritage site. Located in the eastern part of Slovakia, this 12th century castle is considered to be the one of the biggest castles in Europe by area. It is also included onto UNESCO World Heritage List along with several other monuments nearby. It is close to Levoča as well as Slovak Paradise National Park, so if you have some rainy day within the park, you can come here for a day trip. 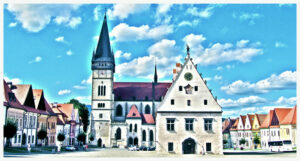 You will find the city of Košice located in the eastern part of the country. It is situated along the banks of the Hornád River. The city is considered to be the second largest in Slovakia with close to a quarter of a million residents. There are a number of museums and galleries as well as theaters and universities that can be found in Košice. It also features one of the most well-preserved historical town centers in the country thanks to which it is often referred to as the most beautiful city in Slovakia. You will find the tiny village of Demänovská Dolina in the northern part of the country. The village is nestled snuggly in the Demänovská Valley. The most notable attractions in the area that have brought countless visitors over the years are the caves that can be found just outside of town. You will find both the Demänovská Ice Cave as well as the Demänovská Cave of Liberty nearby. 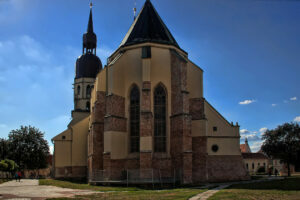 Situated in the northwestern part of Slovakia, the city of Žilina is considered to be the fourth largest in the nation. It can be found situated along the banks of the Váh River, near where the Kysuca, Rajčanka and Váh rivers merge. The city is a very popular destination in the country on the account of the very scenic countryside located in the nearby Strážov Mountains Protected Landscape Area as well as the Malá Fatra National Park. Slovak Karst is a national park and one of just two natural attractions inscribed on the UNESCO World Heritage List. It is a home to 712 caves which include some of the best caves in Slovakia. One of them is Domica Cave which is the biggest cave in Slovakia. Other points of interest include Zádielska valley, Jasov cave, Krásna hôrka castle or manor house in Betliar. The city of Trenčín can be found in the western part of Slovakia situated along the banks of the Váh River. The most notable attraction in the city is a castle that dates back to the medieval period. It is situated just few steps away of the city centre, on the hill, and is visible from afar. There are countless mountains which surround the city as well as a number of parks and protected areas to explore. Perhaps the most beautiful castle in Slovakia, Orava castle is 13th century castle located in the northern part of the country, hidden among the peaks of 4 national parks – Malá Fatra, Veľká Fatra, High Tatras and Low Tatras National Park. 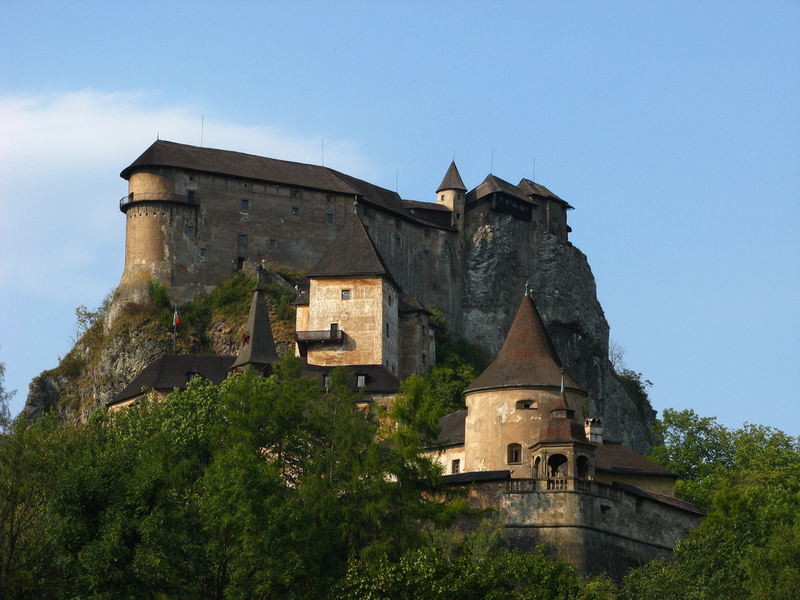 It was a place of lots of movies and fairy tales and is presented on the promo video of Slovakia. You will find the city of Banská Bystrica in the central portion of the country where it rests along the banks of the Hron River. The city is surrounded by the majestic Low Tatra Mountains which have helped the city to become a popular winter destination in the country. Since it was first settled back in the 9th century, there are countless historical buildings that can be found within the city which includes mansions, churches and fortifications. Very interesting is the renovated city centre that is also very romantic especially during the summer months, when you can find lots of pubs, cafes and restaurants featured with typical folklore live music here. Located in the western part of Slovakia, you will find the city of Trnava situated along the banks of the Trnávka River. The city is the seat of the Roman Catholic Church in the country and there are also a number of churches that can be found within the city. 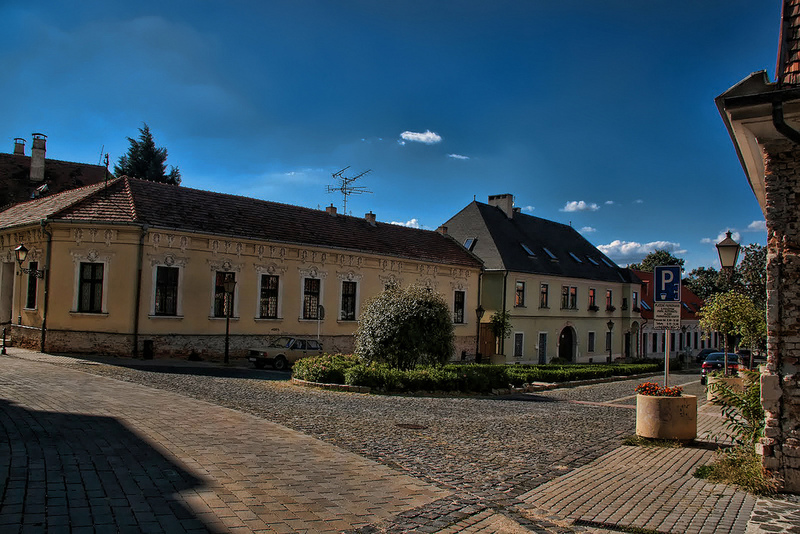 Trnava is known for its well-preserved town center and city walls. In the central portion of the country, you will find the historic town of Bojnice along the banks of the Nitra River. There are several notable attractions that can be found in the city. 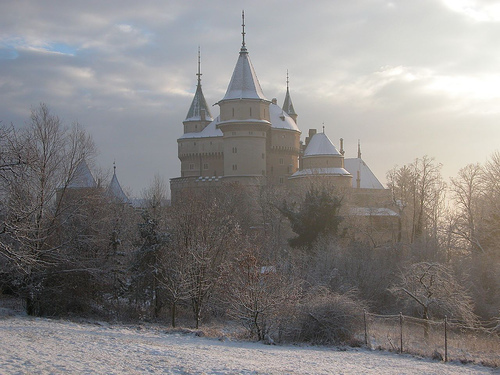 The oldest zoo in the nation is situated in Bojnice and the local Bojnice Castle is considered to be the most popular castle in Slovakia. You will find the city of Prešov located in the northeastern part of Slovakia. With close to a hundred thousand residents, the city is also considered to be the third largest in the country. The city centre has been well-renovated and now it belongs to one of the most beautiful cities in the eastern part of Slovakia. There are a number of mountains that encircle the city which affords one some of the most awe-inspiring views of the Slovakian countryside. Located in the foothills of the High Tatra Mountains, the city of Poprad is a popular destination in the northern part of Slovakia. It is one of the largest resort towns in the nation (though very small at the same time) and is also home to the narrow-gauge rail system which connects the countless ski resorts in the mountains with one another. 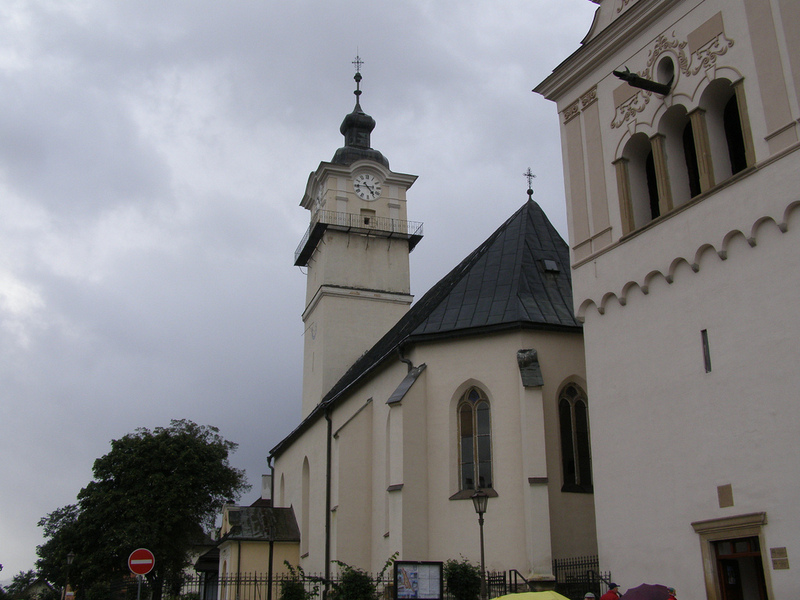 It has a nice town centre and also includes Spišská Sobota, which is another popular and nice part of Poprad. One of the biggest attractions in Poprad is definitely a huge thermal aquapark Aquacity Poprad. In the central region of Slovakia, the village of Donovaly can be found situated along one of the region’s most important passes. It is here that both the Starohorské vrchy as well as the Veľká Fatra mountains can be found. Today it is the biggest skiing destination in the country that features over eleven kilometers of slopes that are serviced by 17 lift facilities. Dog sledding in the area is also very popular in the winter months. The city of Martin can be found in the northern parts of the country along the banks of the Turiec River. It is here where the river flows between the Veľká Fatra and Malá Fatra mountains. The picturesque landscapes which can be seen all around the city is one of the biggest attractions in the region. Situated along the banks of where the Morava and Danube rivers merge, the town of Devín is a popular destination in the country on the account of the historic Devín Castle ruins; one of the most important archeological sites in the nation. There are also a number of Celtic and Roman forts that can be found nearby. 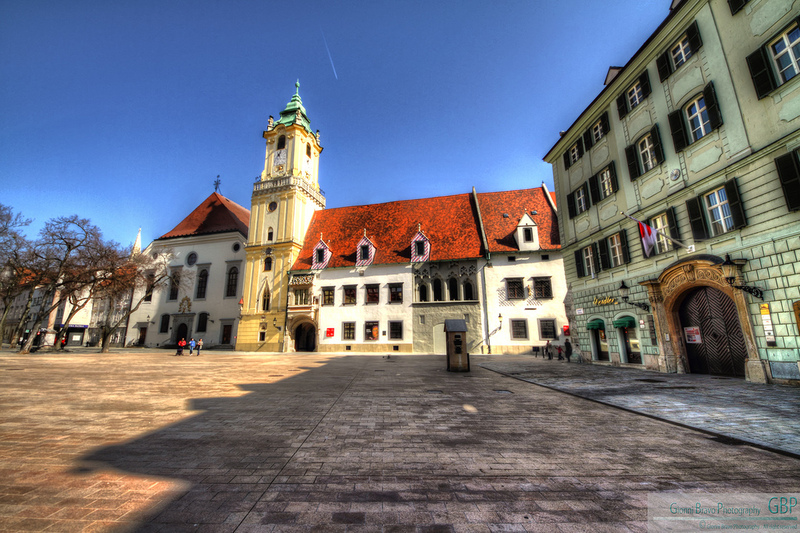 The town is also considered to be a suburb of Bratislava due to the main city’s growth over the centuries. You will find the village of Pribylina in the Kriváň Mountain foothills. Located in the northern parts of the nation, the area which surrounds Pribylina is considered to be one of the most beautiful and picturesque in Slovakia. 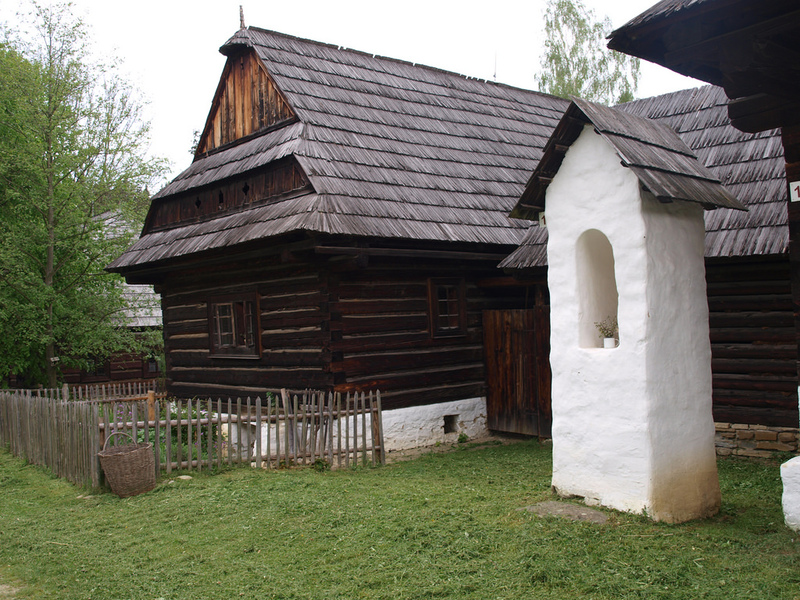 Many people make their way to the village every single year because of the Liptov open-air museum that can be found nearby. Banská Štiavnica is situated in the southern part of Central Slovakia in the middle of the protected area known as Štiavnické Vrchy. It is one of the oldest towns in Slovakia and in the past it was also one of the wealthiest thanks to the huge deposits of the precious metal. Countless of rich buildings were built here by a rich miners. It is one of five Slovak cultural sites inscribed on the UNESCO World Heritage List. If you fall in love with Slovakian nature (you surely do) you can then explore its folklore and life in the village as it was 100 years ago. And one such place is Stará Ľubovňa Open air museum. Just above the museum you can then visit castle of Stará Ľubovňa that was built in 14th century and is a biggest dominant of the city. Bratislava is the capital of Slovakia and is also the largest city in the nation. The city can be found in the southwestern part of the country situated along both of the Danube and Morava banks. It is here that the country borders with Hungary as well as Austria. There are countless museums, art galleries and other notable attractions that can be found in Bratislava. It is located about 80 kilometers from Vienna and therefore serves also as the closest gate, as there are many low-cost airlines flying here from around Europe. Did I miss something? If so, please comment on below and I will add your favourite destination on the list as well.